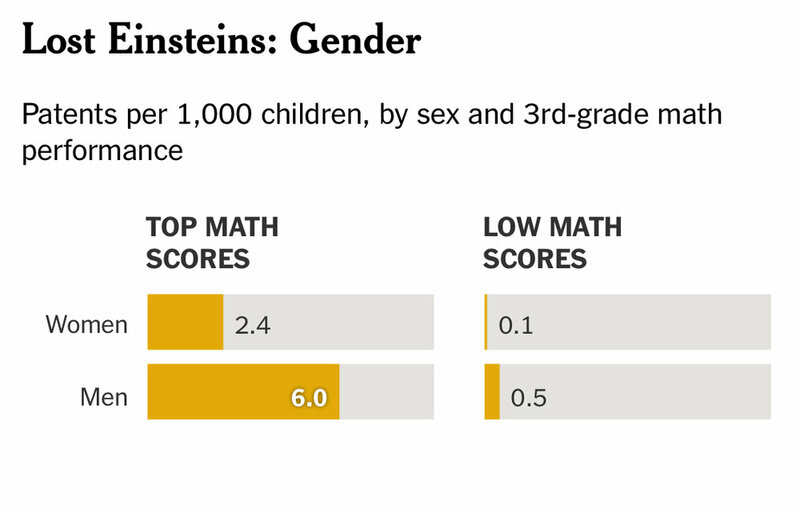 Lost Einsteins. Cost of Inequality. This paper makes for sobering reading on the cost of inequality for lost inventions in the US. Full paper here. Summary paper here. NYT article here. “Much of human progress depends on innovation. It depends on people coming up with a breakthrough idea to improve life. Think about penicillin or cancer treatments, electricity or the silicon chip. For this reason, societies have a big interest in making sure that as many people as possible have the opportunity to become scientists, inventors and entrepreneurs. It’s not only a matter of fairness. Denying opportunities to talented people can end up hurting everyone…. I encourage you to take a moment to absorb the size of these gaps. 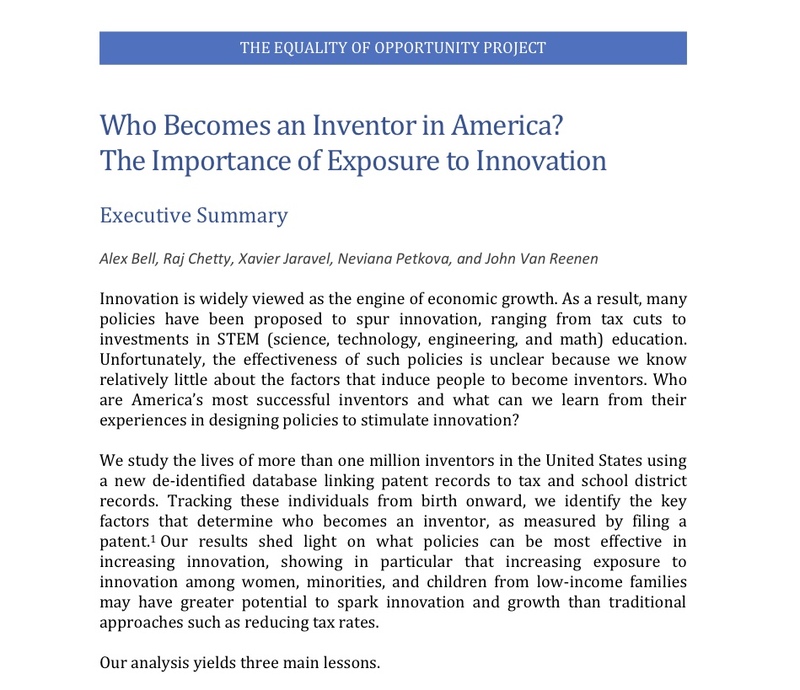 Women, African-Americans, Latinos, Southerners, and low- and middle-income children are far less likely to grow up to become patent holders and inventors. Our society appears to be missing out on most potential inventors from these groups. And these groups together make up most of the American population…. ...The groups also span the political left and right — a reminder that Americans of different tribes have a common interest in attacking inequality….